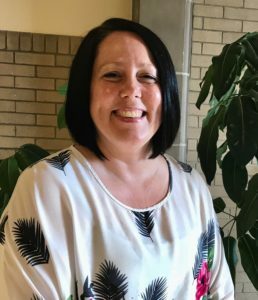 In her role, Kramer will oversee the non-profit agency’s financial and staffing operations, as well as billing and insurance reimbursement functions for services provided through the Hadden Clinic. Kramer arrives with well-rounded experience. Her most recent role was controller for a national restaurant chain based in Northeast Ohio. But she has extensive experience with non-profit, health-care and mental-health organizations, including service as controller for a community hospital; vice president of finance and business for Trillium Family Solutions, a mental-healthcare provider based in Canton; and director of finance and human relations for Goodwill Industries of Wayne & Holmes Counties. Kramer holds a bachelor’s degree in business administration from Ashland University. She started at Hanna Perkins in late July. Hanna Perkins School: State-chartered kindergarten, preschool, parent/toddler program and EPIC Early Learning for children with autism Autism Spectrum Disorders. Hadden Clinic for Children & Families: Mental health assessment, counseling and therapy from birth to 18, and for new moms struggling with postpartum depression. Consultation and training with other schools and early learning centers. Continuing education for early learning educators, child care workers, social workers, mental health professionals and others who work with children on a daily basis. Child psychoanalytic training: An official training program of the American Psychoanalytic Association, conducted in cooperation with the Cleveland Psychoanalytic Center.